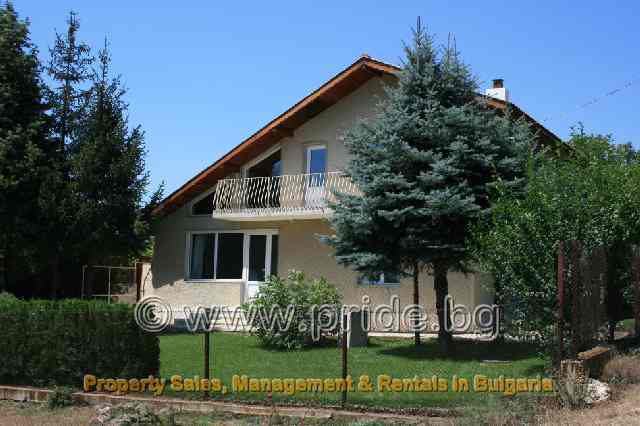 This newly renovated rental villa is the ideal home for your Bulgarian holiday, suitable for both family holidays and couples wanting to get away from it all. It can sleep up to 6 people and is situated in a small sleepy farming village called Tserkva (Bulgarian for church), in a corner plot of the village overlooking the glorious forest and green hills of the beautiful Bulgarian countryside. Although it is located in the town of Tserkva it is only 7km (7 minute taxi ride) from the exclusive coastal beach resort of Albena. 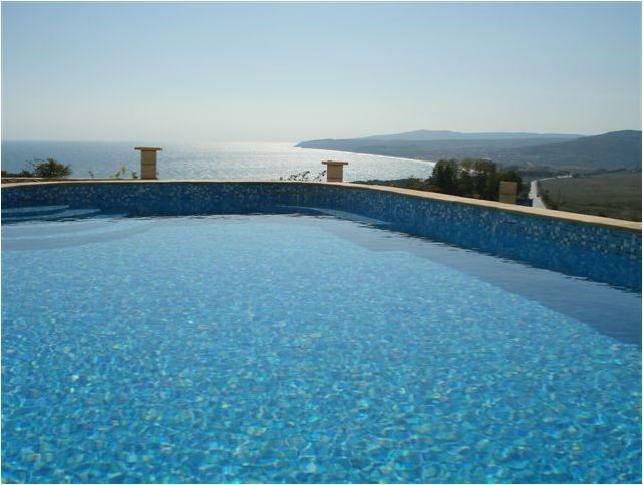 This rental villa has an enormous private swimming pool in the vast garden area, with fruit trees in abundance. It also boasts its very own grape vine and a patio area to sit down and soak up the sun, or to enjoy a barbecue with friends or family. Sun loungers are provided for lounging by the pool or sitting on the terrace, perfect if you want to relax with a bottle of wine in the evening. 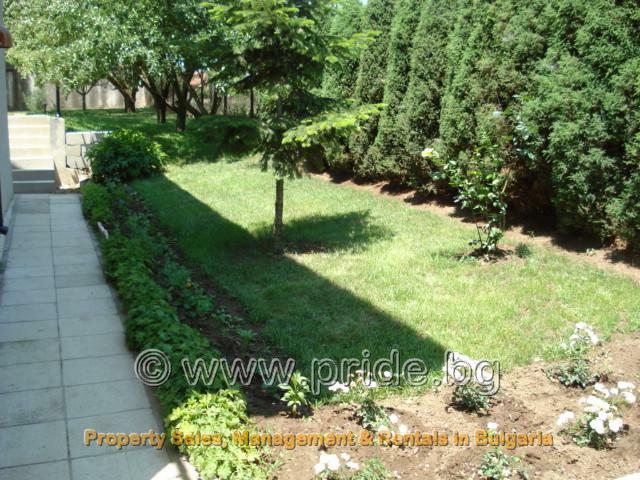 At the top of the garden there is a garage, should you wish to rent a car during your holiday in Bulgaria. The local area offers a selection of cafes and shops. The exclusive Albena beach resort is just 15 minutes away from the rental villa, followed by Golden Sands and Varna. If you rent a car you will be able to access some of the quietest and most unspoilt beaches (that most holiday makers never see) in Bulgaria, which are just a few kilometers north and with the proposed golf course planned for 2007, you’ll agree there is something for everyone with this beautiful rental property. 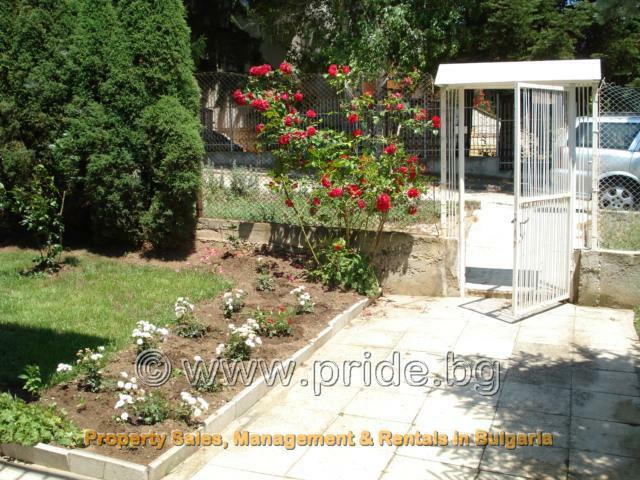 This property is perfect for couples and families with younger children. Please note that there may be restrictions on bookings from other types of groups.